In this week’s gratitude podcast, we’re talking about why it’s quality, not quantity, that counts when it comes to your Monkey Mind. 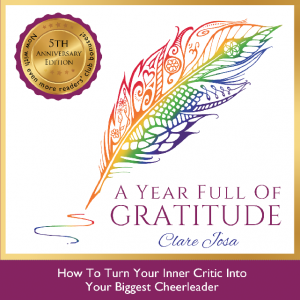 I’m spilling the beans on why we sometimes do those deep, sighing breaths at the start of a gratitude minute – and how you can use all of this to feel happier, fast – and more easily. I’ll be back next week with week 7 when I’ll share my secrets for keeping yourself motivated – and we’ll also explore how to handle life’s ‘brown stuff’ with gratitude and authenticity – it’s a white-washing-free zone!